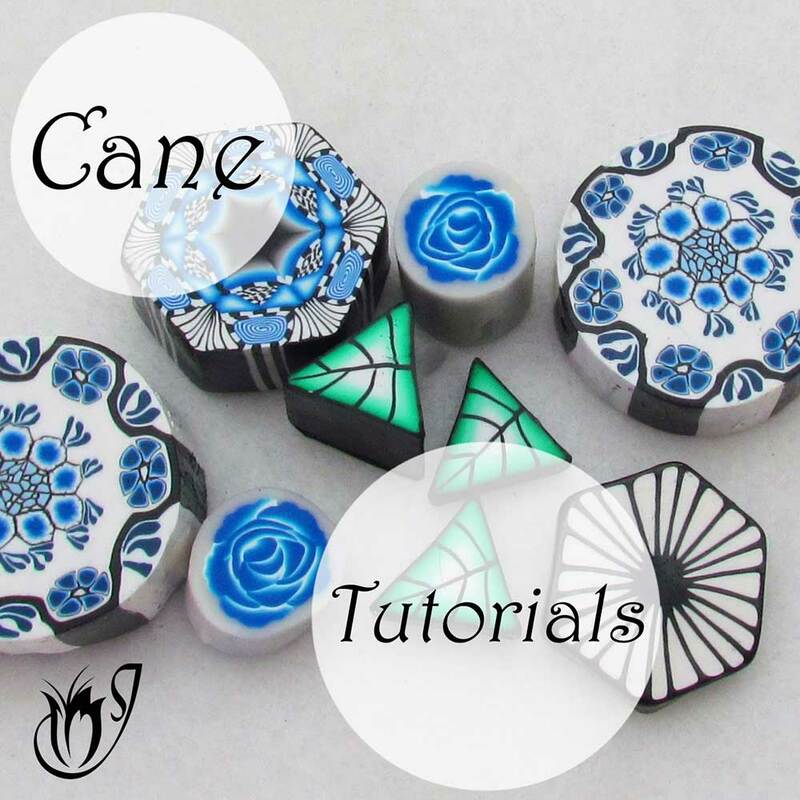 In this Mokume Gane polymer clay tutorial, I'll be showing you how to incorporate silver leaf into your Mokume Gane to create a beautiful shimmering effect. You can achieve the same effect with gold or copper leaf if you prefer. 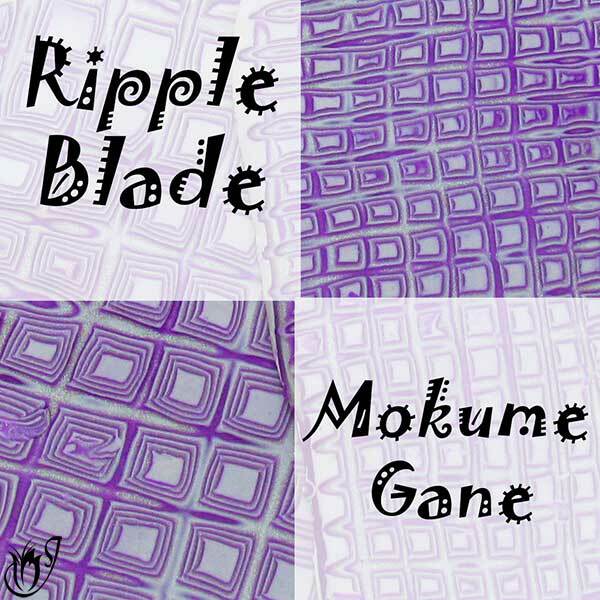 You won’t need any specific tools for warping the Mokume Gane in this tutorial, as we’ll be using a tissue blade to create the effect. 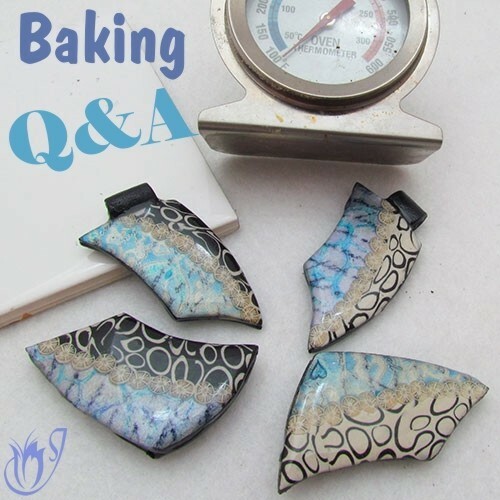 Silver leaf can be used in any Mokume Gane technique, so be sure to play around with other ways of incorporating this elegant mixed media element. Start by rolling out your separate clay colors on the thickest setting of the pasta machine. Cut a large square out of each sheet. I’m using Premo Cobalt and Pearl White today. You can use more than two colors if you want to. Stack one color on top of the other and roll through the pasta machine on the thickest setting. You should now have a rectangle. Roll the sheet though the pasta machine on the second thinnest setting. Roll from one short end of the rectangle to the other so that you end up with a really long rectangle. Repeat on the thinnest setting. 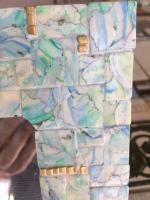 Now cover the pearl white side of the rectangle in silver leaf. 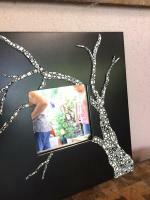 You can use scraps or full sheets of silver leaf. Cut the sheet into sections so that you have sixteen pieces. Place these all on top of each other so that the silver leaf is always facing up, squishing the layers down as you go. 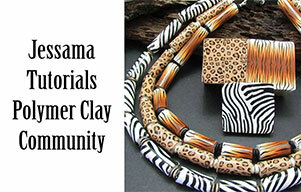 Using your acrylic roller, roll all the pieces together so that you have a stack about half an inch thick. Make sure the layers are well stuck together. Take your flexible tissue blade and gouge out slices from the stack. 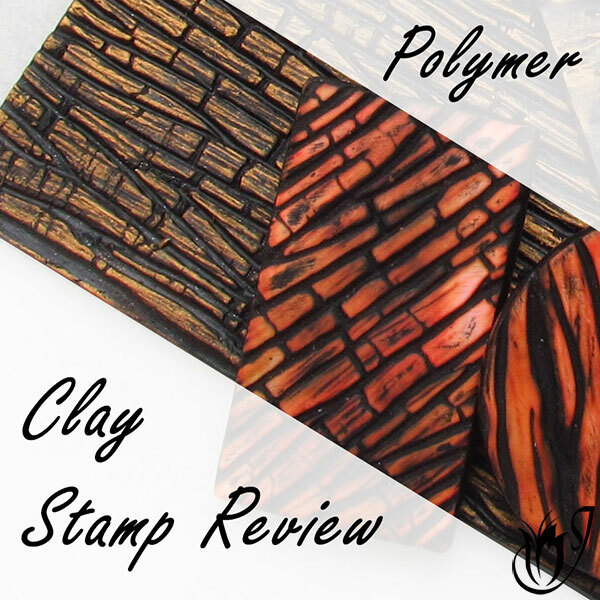 Be careful not to go so deep that you gouge right though the stack, but you do want to purposefully gouge rather than slice. Go slowly and you’ll get many pretty slices. Lay your slices together in a sheet. Roll it flat with your roller and you're ready to go. 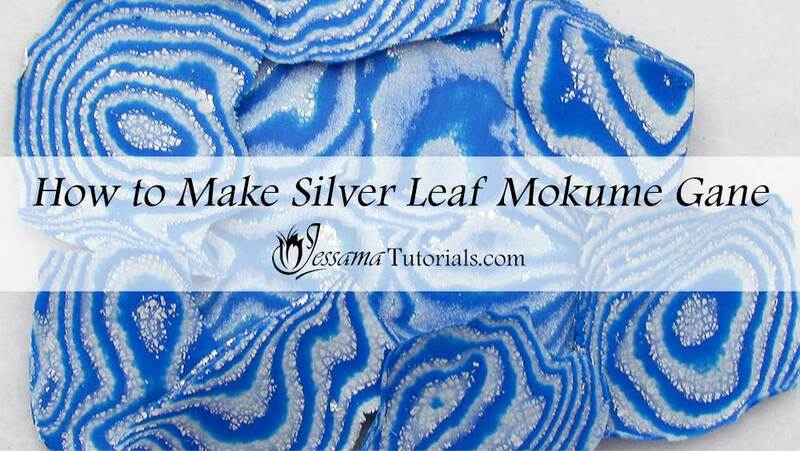 And that's my Silver Leaf Mokume Gane Polymer Clay Tutorial. Simple but beautiful.